Jordan Brand is expected to make huge noise this Holiday Season with the release of stunning kicks before year 2012 ends. 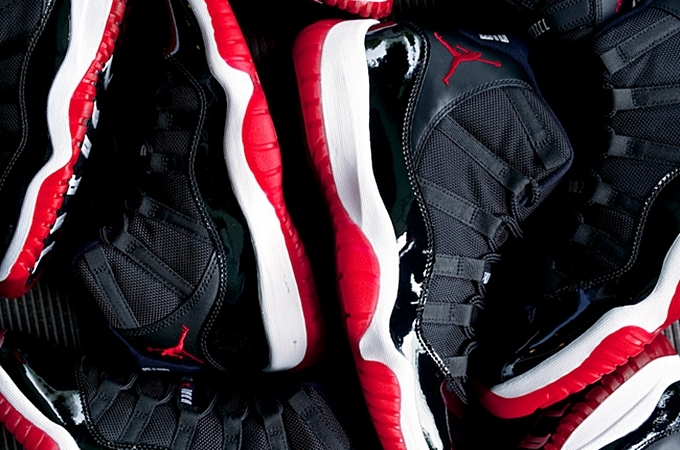 One sneaker that is expected to be a hit before the Christmas Season is the returning Air Jordan 11 BRED or the Black/Varsity Red-White colorway of the electrifying retro kick. According to multiple sources, this impressive silhouette will hit the market on December 21 for $185 and will be available in multiple sizes. Watch out for this kick and we will definitely keep you posted!